The Palestinian Journalists Syndicate (PJS) Thursday declared intention to file a legal case against Israel at the International Criminal Court (ICC) and other European courts. The syndicate decided to form a committee in charge of preparing and collecting documents that prove Israeli crimes committed against Palestinian journalists in the Gaza Strip and the West Bank. The killing of two journalists and the injury of 90 others in Gaza will be on the top files to be submitted by the committee, the syndicate added. The International Journalists Federation (IFJ) declared its total support to the Palestinian syndicate’s decision to expose the violations and crimes committed against Palestinian journalists. 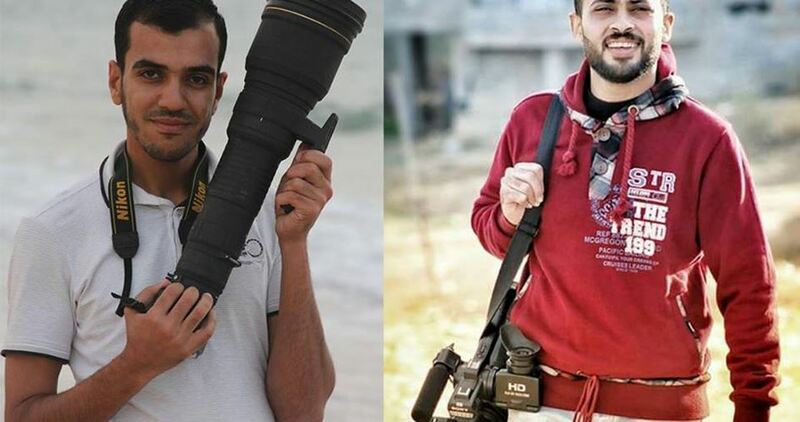 In 2018, Israeli armed forces killed journalists Yasser Murtaja and Ahmad Abu Hussein while covering the protests in the Gaza Strip and wounded 90 others since the beginning of this year. Adalah – The Legal Center for Arab Minority Rights in Israel and Al-Mezan Centre for Human Rights submitted yesterday, 16 May 2018, a motion to the Israeli Supreme Court [PDF] demanding that it issue an immediate final decision on the organizations’ joint petition against the Israeli military’s use of live ammunition and sniper fire on unarmed civilian protesters in Gaza. 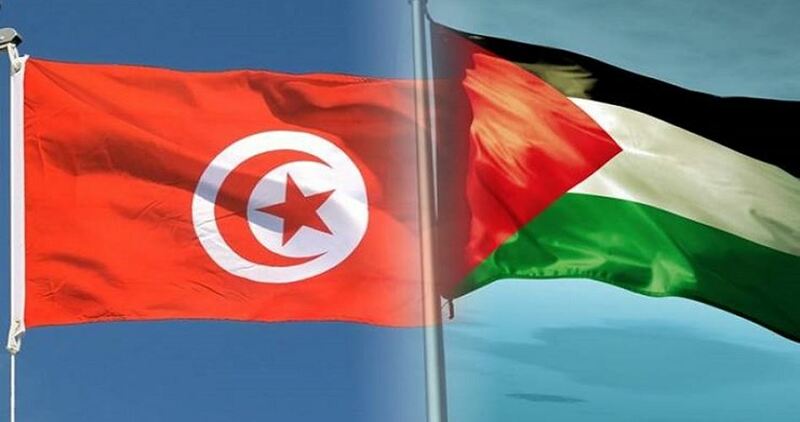 Tunisian unions have called for taking swift steps to close the US embassy in the country and enact legislation criminalizing normalization with Israel in response to the US embassy opening in Occupied Jerusalem and the mass murder of unarmed protesters in Gaza last Monday. This came in a sit-in organized on Wednesday in the capital city, Tunis, by the Union of Tunisian Magistrates, the Tunisian Bar Association, the Tunisian Young Lawyers Association, and the Unions of Judicial and Bar Clerks. He condemned Israel’s systematic killing of unarmed Palestinian civilians defending their legitimate rights and expressed their support for all Palestinian legal efforts to prosecute Israeli war criminals. The spokesman also urged members of the Tunisian parliament to adopt a law criminalizing any step aimed at normalizing relations with the Israeli occupation state and called for closing the US embassy in Tunis. He emphasized that Jerusalem would remain an Arab city and the eternal capital of Palestine. Islamic Educational, Scientific and Cultural Organization (ISESCO) on Wednesday said that the Israeli occupation forces' actions against unarmed protesters in Gaza are a "war crime" and a "crime against humanity". 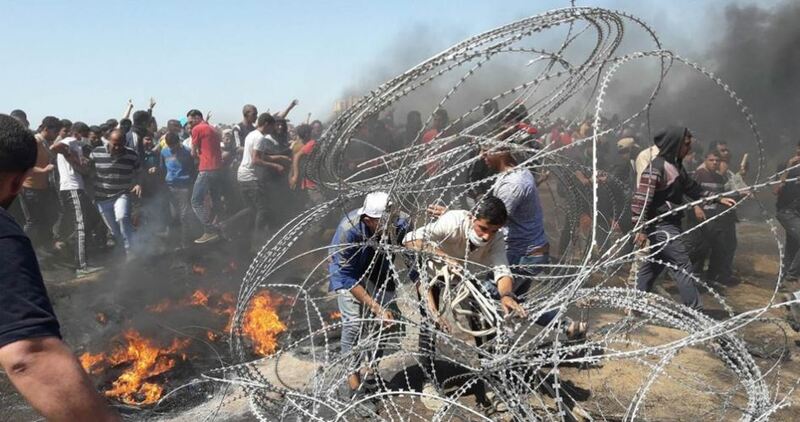 ISESCO in a press statement strongly condemned the killing and injuring of dozens of peaceful protesters taking part in the Great Return March along Gaza's eastern border fence. It called on the international community to stop these crimes, protect the Palestinian people and enable them to establish their independent state with Jerusalem as its capital. He told the 15 members of the Security Council that Israel is the main source of violence in the region and any attempt to forge this fact is not consistent with reality. He affirmed, according to WAFA, that Palestinians accept the results in advance and asked if the countries blocking the investigation are ready to accept it along with its consequences. The United Nations Security Council met on Tuesday, to discuss violence along the border between Israel and the Gaza Strip, following the deadliest day during which dozens of Palestinians have been killed by Israeli armed forces. Nikolay Mladenov, UN Special Coordinator addressed the council members and said the killing acts in Gaza don’t serve the peace process. He strongly condemned the events in the Gaza Strip and held Israel responsible for the use of lethal force, which led to the high death toll. He said that Palestinians in Gaza are protesting because of poverty and for living in a large prison with no future. Palestinians in Gaza are frustrated and angry. If their voices are not heard, more destruction will happen, he explained. Kuwait called for the session after 60 Palestinians were killed and thousands wounded by Israeli gunfire amid mass protests, on Monday, against opening the US embassy in Jerusalem. Mansour Al-Otaibi, Kuwait’s ambassador to UN condemned the killing of over 60 Palestinians and said that Israel’s violation of International law would not have continued if it wasn’t for the lack of action by the Security Council. He added that moving embassies to the city of Jerusalem is a violation of all decisions adopted by the Security Council and affirmed his country’s support of any Palestinian move on the national and the international level to solidify its sovereignty in the occupied city of Jerusalem. Al-Otaibi said he would circulate a draft resolution to the 15-member council on Wednesday calling for the provision of international protection for the Palestinian people. He added that the international community and the UN Security Council have completely failed the Palestinians and the world must work to resolve the Palestinian-Israeli conflict and stop the illegal occupation of Palestine. He called for an independent investigation into what happened in the Gaza Strip and to work to end the occupation and establish a Palestinian state on the 1967 borders in line with UN resolutions and the UN Security Council. 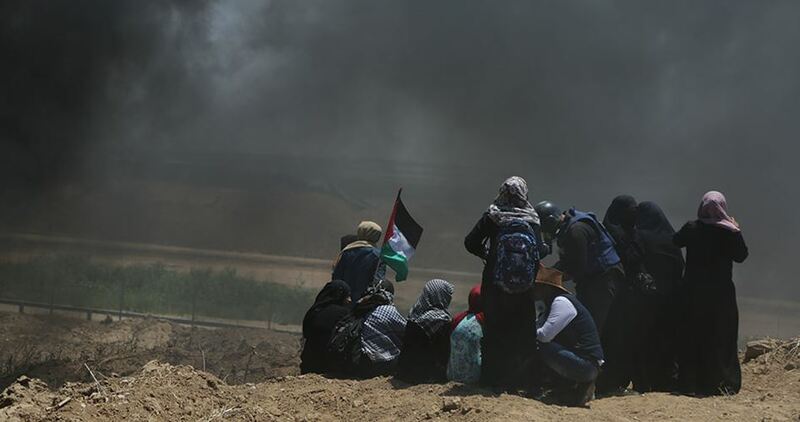 PNN further reports that the Trump administration, on Monday, blocked a statement by the UN Security Councilthat was intended to call for an investigation of the events on the Israel-Gaza border. The statement, circulated by Kuwait, included an expression of rage and sorrow on behalf of the Security Council over Israel killing more than 50 Palestinians on Monday. However, the US blocked the statement from being adopted and published. The Kuwaiti statement also included a call for the creation of an “independent and transparent investigation” into Israel’s actions on the border. It wasn’t the first time that the U.S. has blocked an action at the Security Council related to Israel’s actions in Gaza, but was notable in light of the high death toll yesterday in Gaza – the highest since the end of the 2014 war between Israel and Hamas. The Euro-Mediterranean Human Rights Monitor and other international organizations have called for investigating Monday’s mass murder of unarmed Palestinian protesters resulting from the Israeli army's use of excessive force to disperse them, killing dozens of them and wounding hundreds. This came during a news conference held on Tuesday at al-Shifa Medical Compound by the Euro-Mediterranean Human Rights Monitor in which a joint press statement signed by 27 different international organizations was read by officials from the human rights group. 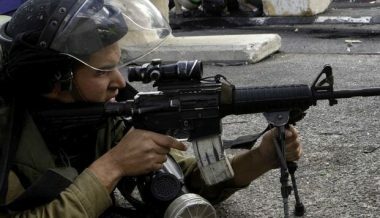 According to the statement, 59 Palestinians, including 7 children, were killed and some 2,771 others injured on May 14 alone as the Israeli forces used excessive force, including live ammunition to disperse unarmed protesters. Accordingly, the death toll has now amounted to 108 citizens, while injuries rose to 12,291, and still counting. 300 of the injured are suffering from serious or critical wounds. 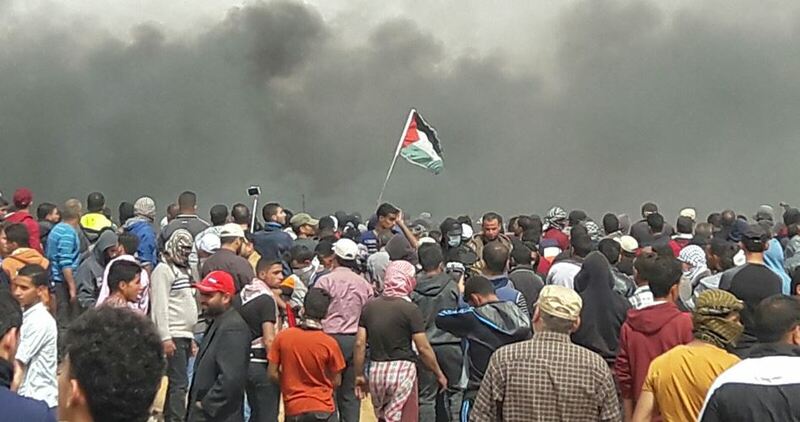 The statement also affirmed that all protests were, in general, peaceful in Gaza border area, while targeted protesters did not pose a real threat to soldiers’ lives that could justify their killing or the use of excessive force against them. "It is true that, in some cases, protesters threw stones at the Israeli soldiers, attempted to cross the fence, or used Molotov cocktails. However, compared to vast majority of cases, these were limited. Also, none of them used or carried firearms. Given the large numbers of casualties, Israel’s use of lethal force is in no way justifiable. It is arbitrary and excessive." "It appears that there is a deliberate intention to further complicate injuries of protesters, causing serious injuries that may lead to permanent disabilities." The organizations, which signed the statement, called on the international community, especially the UN, to compel Israel to respect protesters’ right to demonstrate in a peaceful manner in the Gaza Strip, and to prevent its soldiers from using force when dealing with peaceful demonstrators. They called for “referring these cases to the Courts of Justice of the countries party to the Geneva Conventions, under the principle of universal jurisdiction, to look into the said crimes." They also called on Israel, the occupying power, "to put an immediate and unconditional end to the blockade on the Gaza Strip," and "compensate all those who were affected by this blockade over the past years." "The Israeli government must work seriously to end its long-term occupation of the Palestinian territories, allow the return of Palestinian refugees to their homes and compensate those who do not wish to return, as stipulated in UN General Assembly Resolution 194," the groups stated further. 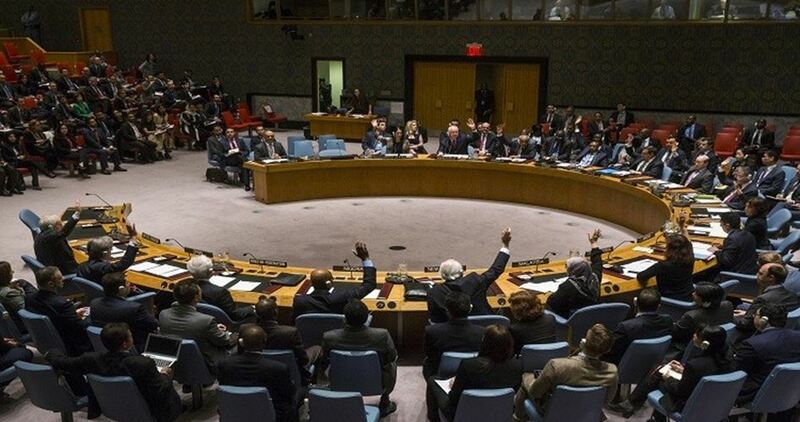 The US at night thwarted a UN Security Council (UNSC) draft statement condemning the Israeli massacre in Gaza on Monday. The draft statement, proposed by Kuwait, demanded an independent and transparent investigation into the Israeli crimes, and emphasized the illegality of transferring the embassy of any state in the world to Jerusalem. The statement, which was approved by 14 countries and rejected by Washington, called on all countries, including the US, to abide by the UNSC resolutions on Jerusalem and its legal and international status. The statement expressed the UNSC deep concern over the recent developments in the Palestinian territories occupied since 1967, with East Jerusalem included, and the loss of Palestinian civilians who were practicing their right to peaceful protest in Gaza. It also asked member states to intensify their efforts to end the blockade on Gaza in accordance with the UNSC resolution 1860 of 2009, and called for sending urgent aid to Gaza to alleviate the catastrophic situation there. Based on the Kuwait-proposed statement, any decisions or actions that would alter the status or the demographic character of Jerusalem are null and legally void. For his part, the UN Permanent Observer of the State of Palestine Riyad Mansour expressed his regret at the US move and said that his counterpart at the UN headquarters in Geneva is seeking an emergency meeting of the Human Rights Council to start an independent investigation into what happened Monday in Gaza. The US on Monday officially opened its embassy in Jerusalem stirring widespread anger. The Palestinians believe that this move is a prelude to full Israeli control over the holy city, including its eastern part which the Palestinians want to be the capital of their future state. US president Donald Trump on 6th December 2017 recognized Jerusalem as the capital of Israel and announced his plan to move the US embassy in Israel to the holy city. Washington had decided to open its embassy in Jerusalem on 14th May which marks the 70th anniversary of the Palestinian Nakba when over 760,000 Palestinians were expelled from their lands in 1948. The Israeli army has killed 113 Palestinians and injured over 12,000 since the launch of the Great Return March in the Gaza Strip on 30th March to demand the right of return for refugees and call for ending a decade-long blockade on the coastal enclave. 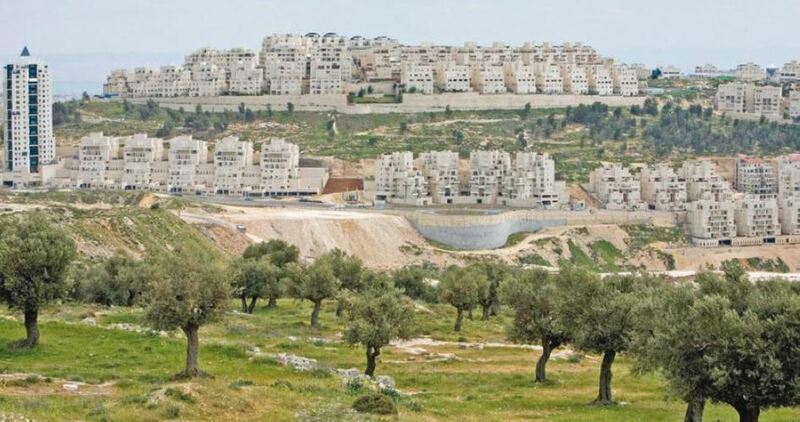 The Palestinian Authority (PA) decided on Monday to file a legal case against the Israeli occupation at the International Criminal Court (ICC) over illegal settlement construction and expansion in the occupied Palestinian territories. Saeb Erekat, Secretary-General of the Executive Committee of the Palestine Liberation Organization (PLO), said in a press release that the PA leadership decided to file a lawsuit against Israel’s illegitimate settlement activity at the ICC. Erekat also said the PA leadership decided to join several international organizations and to call on the Security Council to convene an emergency session to demand protection for the Palestinian people. Erekat added that the PA decided to form a committee to oversee relations with the Israeli occupation and put into action the decisions of the National Council. Tension has reached a peak in the occupied Palestinian territories after the US moved, afternoon on Monday, its embassy from Tel Aviv to Occupied Jerusalem—a city which is home to the third holiest site in Islam, al-Aqsa Mosque. At least 49 Palestinians have been killed and over 6,000 injured by Israeli gunfire since the launch of the peaceful Great March of Return on 30th March in Gaza. 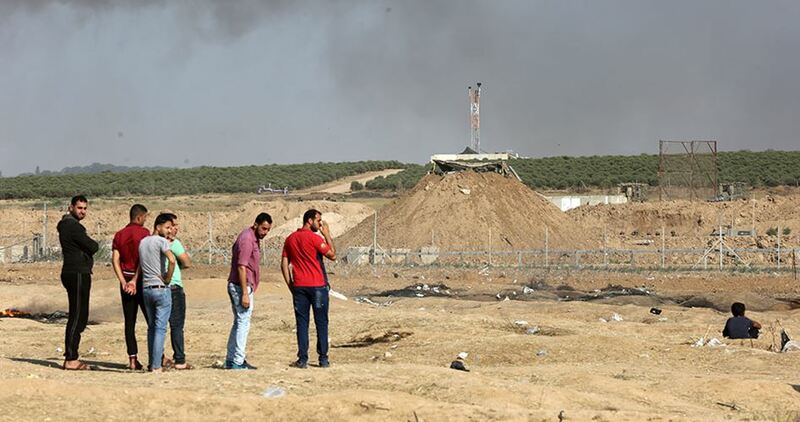 Gaza's Ministry of Health said that its hospitals received the bodies of 44 martyrs, five of whom were minors, noting that the Israeli occupation forces are detaining the bodies of five martyrs who were shot near the border fence. Spokesman for the Ministry Ashraf al-Qedra said that 6,793 Palestinians have been injured so far, including 701 children and 225 women. He described 160 of the injuries treated at Gaza hospitals as serious, 1,944 as moderate and 1,899 as minor. According to al-Qedra, 1,935 of the injured were targeted by live ammunition, 401 suffered rubber bullet wounds, 820 chocked on teargas, and 847 sustained different injuries. He explained that 297 of the injured were shot in the head and neck, 518 in the upper limbs, 139 in the back, 166 in the abdomen and pelvis, 1,942 in the lower limbs, and 74 in other places. So far 24 amputation cases have been reported in the hospitals. Al-Qedra pointed out that the Israeli occupation forces deliberately attacked medical staff injuring 89 medics and partially destroying 22 ambulances.